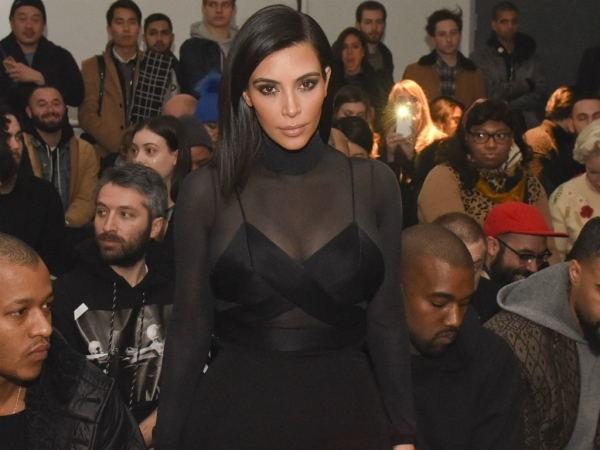 Kim Kardashian reportedly feels guilty that she hasn't been there for Bruce Jenner. Bruce was recently involved in a four car pileup, which resulted in one fatality. While he is thought to have passed a breathalyser test, it's claimed he may have been driving too close to the car in front and could face vehicular manslaughter charges. Kim still enjoys a close bond with Bruce, who split up with her mother Kris after 22 years of marriage in 2013, and is allegedly feeling distraught by recent events. "She's had her own stuff going on, but Kim feels guilty that she's been away supporting Kanye [West her husband] so much. No one thought things would go this far, or that jail was even a real possibility, until now," a source told British magazine Grazia. "There's no doubt the family are rallying around Bruce, and his lawyers say they have the situation under control, but it's still a scary and stressful time for everyone." As well as the tragic crash, 65-year-old Bruce is also said to be undergoing treatment to transition into a woman. Prior to the road accident, it was thought the former Olympic athlete was ready to open up about his lifestyle change and even had an interview planned with ABC anchor Diane Sawyer. "Kim is devastated to see Bruce going through this. She doesn't believe he can handle the stress, as he's so emotional and fragile right now with everything he's going through," the source added. Bruce himself is still in a bad way say those close to him, and he is frightened by the thought of going to jail. "Bruce is a complete wreck. He was devastated to learn the other driver had died and he's still getting over that. He's also terrified of going to trial, and the prospect of going to prison is just too much," the insider said.